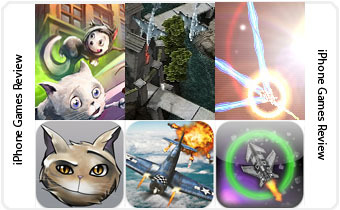 From cats running across roads to flying war planes and to space ships, we have them all in this iPhone Games Review round-up! Cat Run is a fun arcade style game where the objectives are similar to that of the classic game called Frogger and the gameplay style is that of Flight Control. 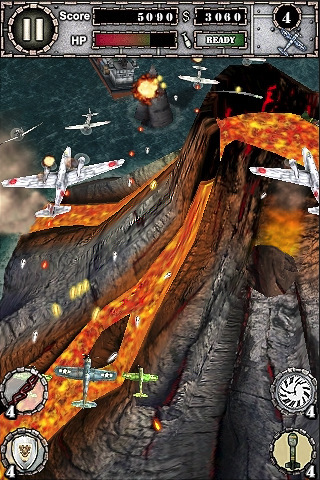 AirAttack is an arcade shooter where you simply shoot down enemies as they come and stay alive to win the level. 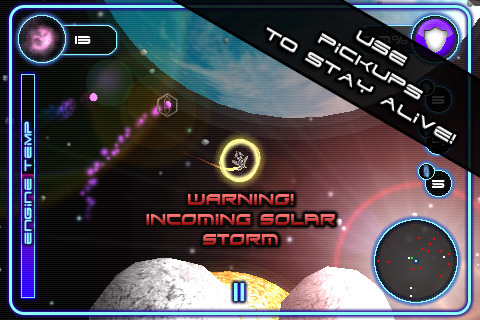 Astro Dodge is an asteroid game where you stay alive and collect points. Read on for a more detailed review of the games. What do you get when you mix Frogger objectives with Flight Control style gameplay? You get cats running across busy roads trying not to get knocked down by a speeding car. What you have to do is basically to bring the cats from one end of the road to the other. The difficulty lies in the traffic of the road as well as the probability for the cats to fight each other. To solve the cat fights, simply bring one of them over. To avoid traffic, navigate with agility and speed. 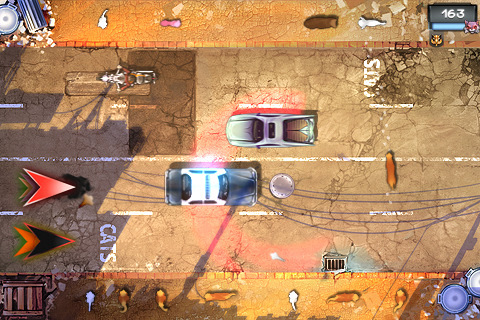 Cat Run is a mindless game that grows onto you. There are different stages to choose from and the difficulty gets tougher as you proceed on further into the game. No story no anything, just jump right into the gameplay straight away. Controls are smooth and responsive. You simply touch and lay the route as to which the cat will follow. Touch on the cat on the move to reroute should there be an approaching vehicle. Graphics are bright, happy and wonderfully detailed. The artwork, atmosphere all feels arcady and certainly helps in creating the feeling of peace joy love and fun. The graphics are really outstanding. At the same sound effects are lighthearted and helps in helping to lift the experience up. For 2 dollars it might be a little costly for the unvaried gameplay but if you had that extra money and loved games such as Flight Control, you might want to invest some time and money into it. Top down shooting craziness with AirAttack accompanied with fantastic visuals but sub-par sound effects. Nonetheless, the gameplay is awesome. AirAttack is simply a top down shooter and the game sticks to that formula rather tightly but the way it is executed is simply flawless. With upgrades available to your plane it simply drives you forward to keep playing. With enemies varying as you progress through the levels, difficulty increasing and bosses with more weird attacking patterns, the game is simply addictive and funtastic (that is what you get when you add fantastic with fun). There is nothing wrong with the gameplay with controls working well and the mechanics smooth as silk. Graphics are great with special shooting effects, mini explosions and detailed environment adding up to such a conclusion. 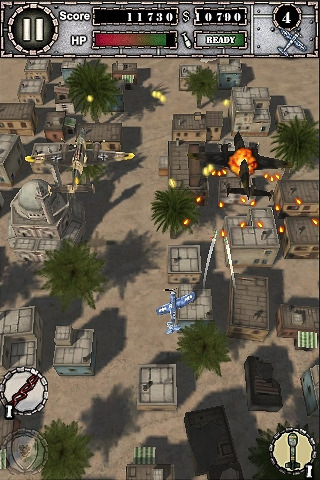 Enemy plane models are great as well and vary to ensure that the fun is long-lived. The only problem with the detailed background is that sometimes it can become hard to see incoming bullets flying to you as they blend it rather well with the environment. Maybe some highlighting of something (though that would make it look weird) of the bullets? Not too sure how you can go about correcting it though but if the bullets and background could be more distinct the game is near perfect. The sound effects on the other hand do not live up with the quality of the gameplay and the graphics. A pity but it does not really matter since you will be mesmerized by the environment and engaged in combat to even bother. For just a dollar, this game is a great recommendation for people yearning for some fun. From the same creators of Mirror Maze comes Astro Dodge. I had fun with their other game but as for Astro Dodge, I simply cannot connect with it. The main objective is simple, stay alive collect points. 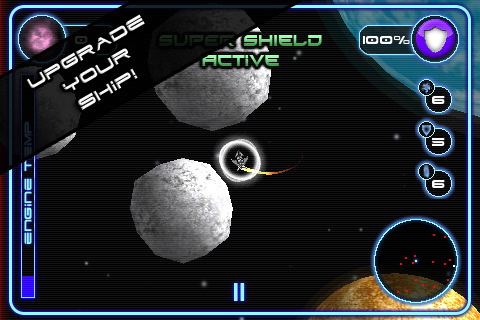 You drive a space ship, dodging asteroids while navigating to collect some purple orbs for points. 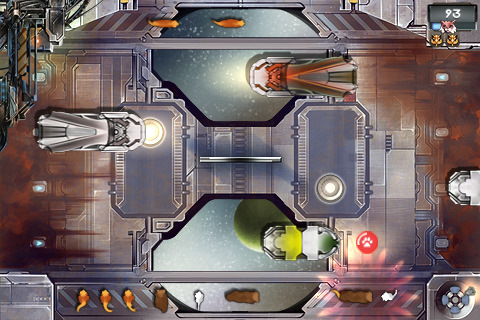 You have upgrades and power ups later on but that is you can actually get hooked up with the gameplay. The controls take time to get used to. You flick in the direction as to which you want your spaceship to move to and to control the speed of your spaceship is by the speed your flick is. Like I needed some time to get used to it; Flick slowly your spaceship moves like a snail, do it a little quicker and off you go banging into an asteroid. Patience and practice is important I guess. Graphics and sound effects are mediocre but that only matters if you actually get hooked on the gameplay. There simply isn’t the wow or rather the pull factor that draws you in. Yes there is the highscore board and achievements but there is simply not much action going on to get you going. Maybe it is just me but for 2 dollars, I’m not too sure with this one. Maybe the developers should come out with a lite version for people to demo out since the gameplay might be a bit subjective to tastes.